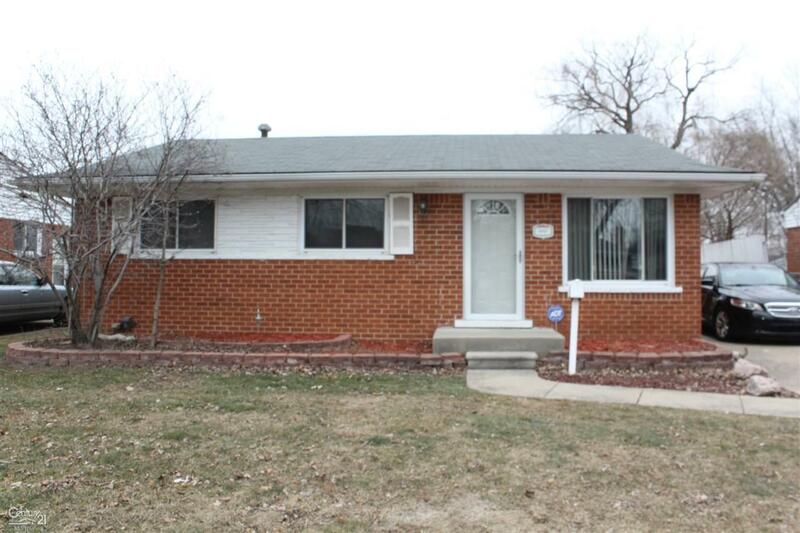 Nice 3 bedroom brick ranch features a spacious family room with fireplace and doorwall leading to rear deck. New professionally installed steel doors (1/19). Large lot, partially finished basement, updates include newer furnace, AC, roof and Wallside Windows. Priced to sell fast. All kitchen appliances included. Immediate occupancy. Great home for first time home buyers. This gem just needs a little polish to make it sparkle!